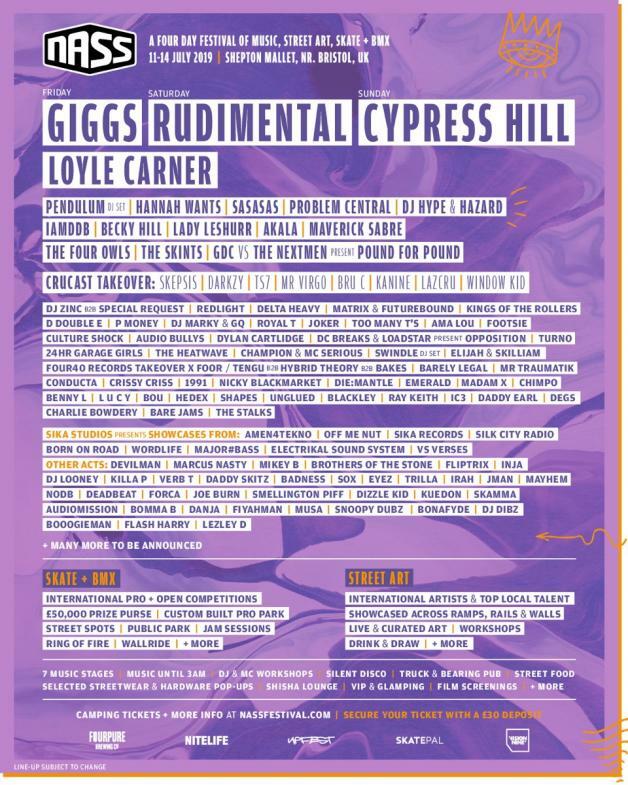 Cypress Hill, Giggs, and Rudimental are set to hit this summer’s NASS Festival. The festival takes place at Shepton Mallet, a site easily located just outside Bristol, and boasts a four day symposium on street culture. Amid street art, skate boarding and BMX events fans can find a jam-packed bill, topped by hip-hop legends Cypress Hill. South London’s very own Giggs will perform, joined by chart-smashing collective Rudimental. Grime icon D Double E joins the bill, with NASS also due to welcome Madam X, Special Request, Hannah Wants, Lady Leshurr, Akala, Maverick Sabre and Ama Lou. NASS Festival runs between July 11th – 14th.